I was trying to import all my CDs (purchased by me and my sister) into iTunes. 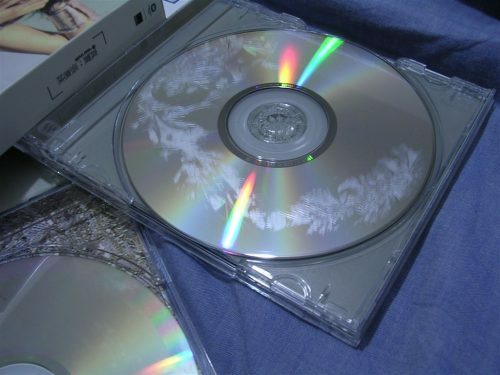 When I open the jewel box of “Turth” by A-Mei (Warner Music Taiwan, 2001), I saw a bizarre image: some unknown matarial just vapirize form the cover of the booklet and crystialize on the back side of the CD. 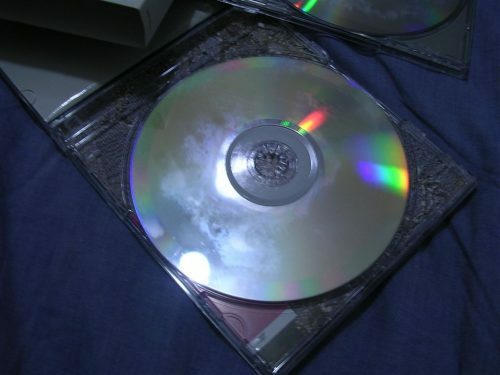 When I try to remove it, I found out that it has eatten the CD, leaving a fog-like surface. I don’t what it is, but I think Warner Music should know it before they sell it, especially when they ask people to buy CDs instread of download music. It’s just feel like punishment of buying music legally. This entry was posted in Media. Bookmark the permalink. Share the short link. 讓人不禁考慮到說, 消費者花錢買來的”品質產品”是否真的值得. 我也得檢查我收藏的 CD 了..